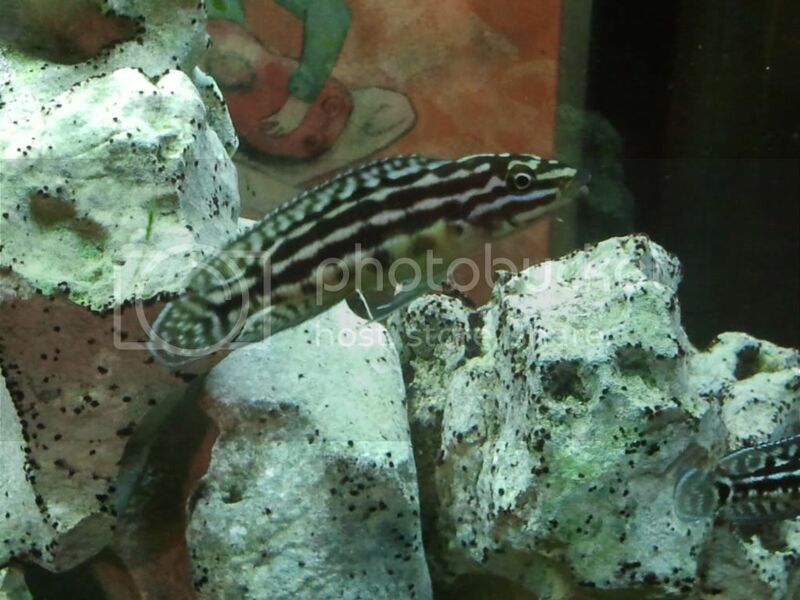 Replied by Mzielinski311 on topic Julidochromis Transcriptus Gombi? Very true. Unfortunately for me, this was my first attempt at keeping African cichlids so I didn't know much going into it (too many different species types to research). Thought I did for Julidochromis Transcriptus Gombi, but apparently I didn't. Anyway, all fish are doing well. Replied by mikeg2929 on topic Julidochromis Transcriptus Gombi? The biggest risk in this hobby is buying poorly labeled items. It can be a real drag, especially if you combine them with others thinking you have a "pure" strain. Caveat emptor - always know your seller. Good call. After doing some research over the Internet based on your suggestion, it looks exactly like it. Whether it is a true Marlieri or a "Gombe" variant remains to be seen though. I'm hoping for the latter since I was initially looking for a smaller species. Thanks for pointing me in the right direction. Replied by scubadiver on topic Julidochromis Transcriptus Gombi? Last edit: 6 years 10 months ago by scubadiver. Picture posted in the original message as well as here again. Thanks for sending the link. Would love to figure out how to include a picture. Attempted multiple times at different resolution sizes with no luck. Replied by sawboy on topic Julidochromis Transcriptus Gombi? I bought 5 of these guys at the December swap meet and all are doing well in a 29 gallon setup with plenty of rock work and rainbow fish as dithers for the top of the tank. Aside from singling out one of their kind for about a month, there has been little aggression(may be all females?). Regardless, they were sold to me as Julidochromis Transcriptus Gombi. Just attended the Cichlid Classic auction and all 4 bags that I saw referencing the same name had a completely different looking species. What do I have or were the bags mislabeled? Any help would be appreciated. What you can't see in the picture is that a nice light blue coloration highlights the fins of the fish. Great looking fish with similar temperment in my opinion. Last edit: 6 years 10 months ago by Mzielinski311.